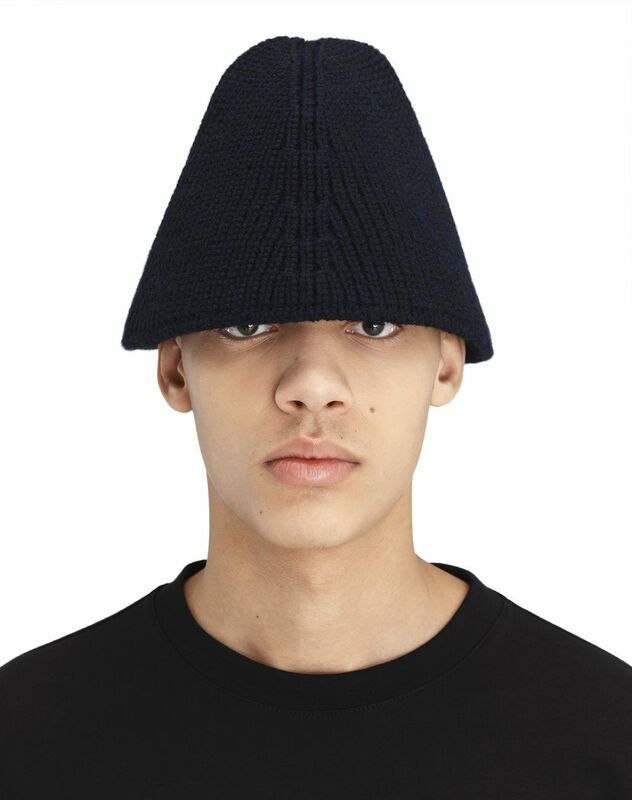 Navy blue knit hat. 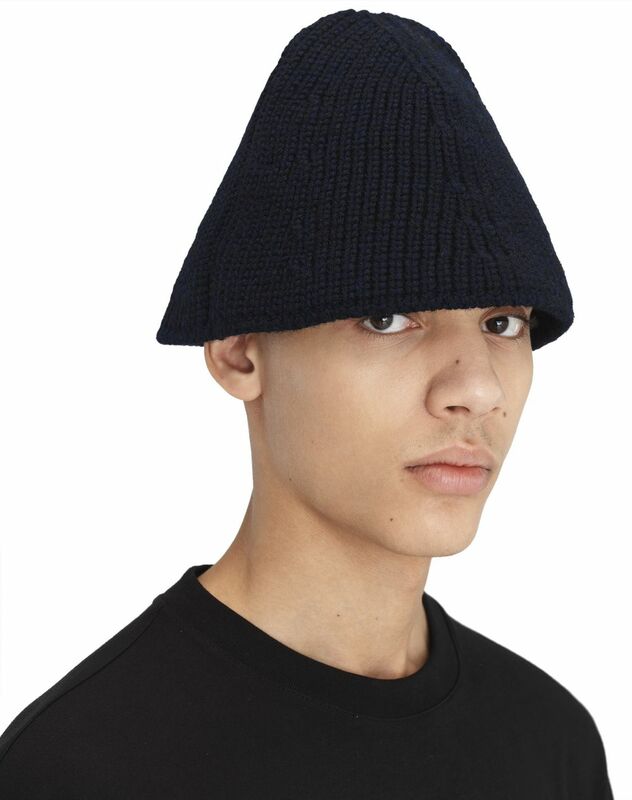 The Fall-Winter 2018 Collection unveils its new wool knit bucket hat. A must-have for the season, it provides a stylish look anchored in today’s trends. Main materials: 96% wool knit, 4% polyamide. Made in Italy.